This vise is a convenient tool for everyday tool changes. It is excellent for loosening connections that are frozen together, either by over-tightening or by fretting of the joint by an unlubricated interface. 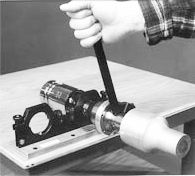 The vise has three dog-point set screws to engage all spanner holes on your 15 kHz or 20 kHz converters and boosters. This eliminates damage or elongation of the spanner holes in the horn, booster or converter. 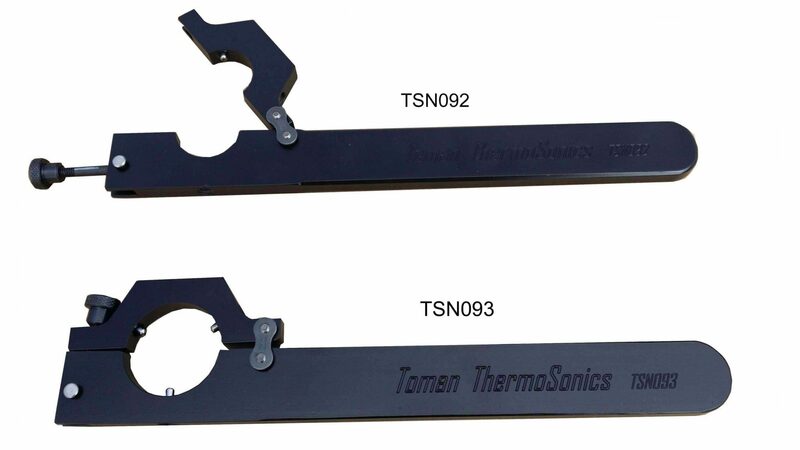 Use with your own spanner wrench or purchase one of our Vise Wrenches or Spanner Torque Wrenches for accurate torquing power. 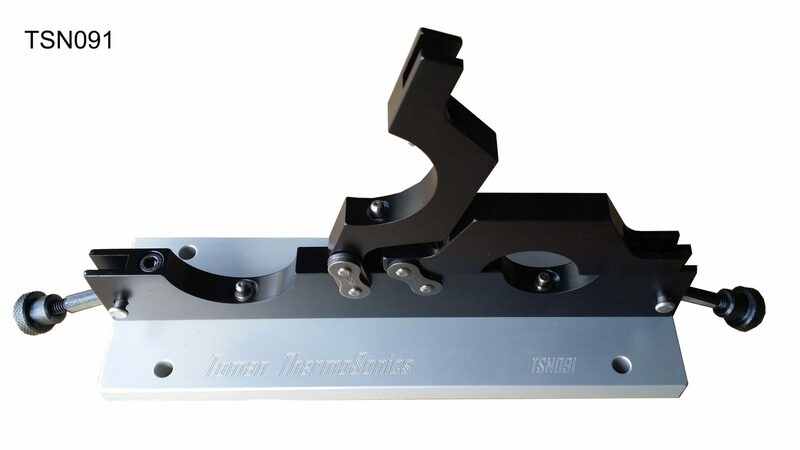 Comes with a 3/16″ T-handle wrench and six self-tapping screws for mounting.